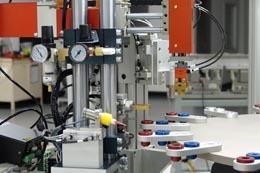 The world of custom automation used in electronics and other industries is a game of which direction to proceed — user-operated benchtop stations, or full turnkey systems. By creating a scalable automation strategy from the beginning, equipment reuse, risk reduction, and incremental implementation can be realized. By approaching an automation strategy in an incremental way, benefits such as the opportunity to prove risky or untested processes before “going all in” on a full turnkey system, a reduction in initial capital outlay at the beginning of a program, and the quick launch of critical processes for production are gained. Before starting a custom automation project, be sure to do the homework and plan obsolescence out of the strategy. Use the principles of modularity, scalability and flexibility to create a reconfigurable automation system for the production process. In the end, it can extend budget dollars and increase the longevity of equipment in a competitive global marketplace.